It is a huge growth market - major investments are being made in expanding rail transport worldwide Experts estimate the market potential for connection solutions in the rail vehicle sector alone is around 500 million euros per year. 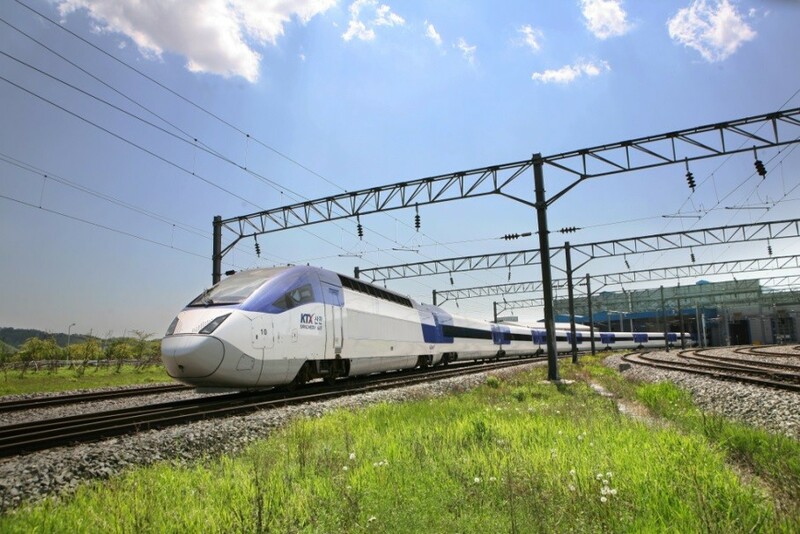 LAPP has now also positioned itself as a new supplier of connection technology for rail vehicles - with ÖLFLEX® TRAIN cables for the KTX high-speed train in South Korea. To establish itself in this market, LAPP had to overcome a number of challenges - for example, all the products used had to meet the strictest safety requirements, particularly in terms of fire protection. All suppliers in the railway industry worldwide have to comply with the IRIS (International Railway Industry Standard). The second challenge was the OEMs (original equipment manufacturers) that only take on a provider as a supplier if they have tested the products themselves. For the railway manufacturer Hyundai-Rotem, proximity to the customer was also important. They were looking for a regional supplier who knows the market and is able to respond quickly when required - and LAPP Korea was ideal. LAPP supplied 100 km of ÖLFLEX® TRAIN cables for the KTX (Korea Train eXpress) for Hyundai-Rotem in South Korea. "This is the first major project that has seen LAPP supply cables for passenger and high-speed trains," says Lance Lee, Marketing Manager at LAPP Korea. The KTX reaches speeds of 300 km/h and links the capital Seoul with the cities of Mokpo and Busan. 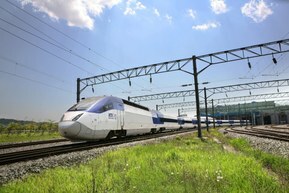 Three special railway cables were developed for the high-speed trains. The ÖLFLEX® TRAIN GKW 300V (a hybrid connecting cable) and also the ÖLFLEX® TRAIN 4GKW HF 1800V and ÖLFLEX® TRAIN 9GKW HF 3600V, two highly flexible cables that are used as connecting cables between the carriages and have to cope with very tight bending radii. In addition to the IRIS, the worldwide railway sector is subject to a range of other exacting standards with numerous requirements. An international standard for railway cables has become established - the European standard (EN), an assembly and testing standard for power and control cables. 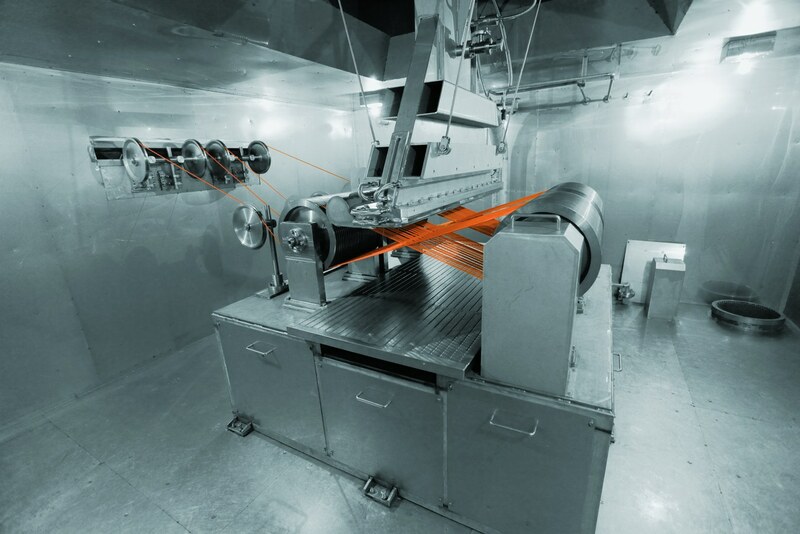 To obtain the necessary certifications, LAPP tested its products at three different locations: the technology inspection centre in Stuttgart, the fire testing centre at Forbach in France, and at LAPP Korea. The tests focused particularly on flame retardance. To ensure that the railways cables are exceptionally robust, a radiation cross-linking system to refine the cables was installed specially at the Korea site. After the success of the LAPP cables for the high-speed train, a follow-up order was immediately received for the cabling for a KTX that will link the cities of Seoul and Gangneung, reducing journey times from 4 hours 35 minutes to 1 hour 52 minutes. It will also provide a link to PyeongChang, where the Winter Olympics will be held in 2018. The KTX is operated by the South Korean state railway company, Korea Railroad Corporation (Korail). The first generation of trains was based on the TGV and was partially produced directly in Korea under license from French train manufacturer Alstom. The Seoul-based railway manufacturer Rotem (later Hyundai-Rotem) harnessed this expertise and now produces a Korean-developed KTX-II that features LAPP cables. Here you can find our solutions for railway technology. Connection solutions for the rail industry.